Sometimes conventional medicine for cancer treatment can disappoint as it can be less effective than expected. Chances are, you are aware of a range of alternative ways to recover. Today, we’d like to dive deep into virotherapy through Rigvir® injections. 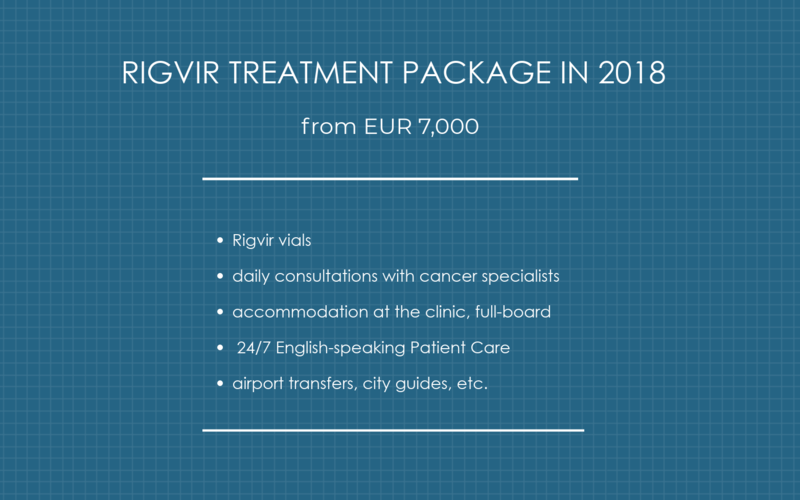 Being originally a Latvian medicine (Rigvir® is abbreviated from Riga virus) the drug made Latvia a world hub for those wishing to undergo virotherapy treatment and for specialists, who are willing to learn more and successfully apply virotherapy methods in their treatment prescriptions. While the discovery of Rigvir® traces its roots back to early 1950s, the vaccine was granted Horizon 2020, the EU funding program, aiming at a greater accessibility throughout the European pharmaceutical market. Rigvir® has little side effects. Fatigue, drowsiness, and slight increase of body temperature (37.5°C/99.5°F) are complaints that normally last up to three days. The side effects occur because Rigvir® focuses only on breast cancer cells without affecting the rest of the body. If you reside in the U.S., you may need roughly a week to collect them all. However, living in the U.K., other parts of Europe, or Canada means paperwork may take at least several weeks. Therefore, we recommend you to start collecting the files as soon as possible. For more information about Rigvir in other countries, read about virotherapy in Australia and virotherapy in New Zealand. Once done, the assessment of your breast cancer case will take no longer than 3 business days. You will receive a notification from the support agent who will tell you whether or not you qualify for virotherapy. If yes, you can start booking your flight tickets to Latvia. If your diagnosis can’t allow you to become a candidate for virotherapy, you’ll be notified immediately. You must be 18+ years old because the existing clinical experience with Rigvir® is related to adults only. Your must have a confirmed oncological diagnosis because Rigvir® cannot be applied as a preventative measure. You must have a solid tumor because there’s no clinical experience proving that Rigvir® can help fight blood cancers such as lymphoma, myeloma, or leukemia. If you would like to know whether you can benefit from Rigvir therapy or where the treatment will take place, please click the red button below. We will get back to you in less than 24 hours to initiate the process of your free case evaluation.